In this well-paced, in-person course and exam, your employees learn how to align marketing and sales for optimal efficiency. Bridge the gap between marketing and sales teams with strategies and tactics from over 25 world-renowned sales and marketing leaders. To stay competitive in today’s business landscape, employees must be constantly learning and updating their skills. With every Google update, CRM update, automation update or any other update for that matter, sales and marketing departments are struggling to stay on top of all the latest email, social media, PPC, and sales strategies to stay ahead of the game. 1Most researchers agree that the average buyer does 70% of their buying research before they ever talk to sales, and 59% would prefer not to talk to sales at all. If your customers are required to talk to sales at any point in their journey, you can bet they’ll come to that meeting well prepared. If the sales rep says anything that’s inconsistent with what the buyer has learned online, that’s going to cause problems. So sales and marketing have to be perfectly aligned or you’re going to lose potential customers. The trouble is, marketing and sales don’t often get along very well. One excellent way to get sales and marketing working together is to implement a sales enablement strategy. Sales enablement is the processes, content, and technology that empower sales teams to sell efficiently at a higher velocity” and that’s a task marketing is well equipped to execute. 2The first step to implementing a sales enablement strategy at your company is figuring out what you want to achieve. The purpose of sales enablement is to help your company make more sales, but that shouldn’t be the end result. You need a vision of what you hope those additional sales will help you do. 3Did you know that 69% of high-performing companies rank communicating business goals company-wide as the most important and effective way to build a high-performing team? Did you also know that, in a typical company, only 7% of employees know what they need to do to contribute to company-wide goals? That’s a huge disconnect! Your company needs to have a clear revenue goal, but unless your teams know what they need to do to contribute, it isn’t going to do you a lot of good. So you’ll need to help marketing and sales each understand their role in achieving that goal. And the best way to do that is to implement a service-level agreement, or SLA, between the two teams. 4When it comes to getting sales and marketing working together, maintenance is key. No matter what other measures you have in place to align your teams â€” unified goals, shared definitions of leads, an SLA they will always drift out of alignment unless you have systems in place to keep them aligned. One of the most important systems you can put in place is regular marketing meetings. A marketing meeting is a time when sales and marketing come together to discuss problems and collaborate on solutions. This is a non-negotiable part of sales enablement. 5One of the most important things your company can do is get a clear definition of who your ideal customer is. This definition needs to be developed jointly between marketing and sales, otherwise, you’re going to have trouble. If you want to sell efficiently at a higher velocity, you have to have a deep understanding of the people who tend to buy from you. A great way to get that understanding is to create a buyer persona. A buyer persona is a semi-fictional representation of your ideal customer based on data. If you’ve developed your buyer personas and identified the jobs to be done for those personas, you might have discovered that there are a variety of ways you can help many different kinds of people. But if you really want your sales team to be able to sell efficiently at a higher velocity, you’ve got to get focused on a particular persona with a particular job to be done. The best way to do that is to ask yourself who you want to be a hero to. This way of framing your business is equal parts buyer description and mission statement. If you know who you can be a hero to and what you need to do to be a hero to them, you’ll be leagues ahead of your competitors who are trying to sell to anyone with a pulse. And when it comes to sales enablement, helping your sales team focus on the best customers is one of the most important things you can do. Crafting a hero statement is a great way to get started. Sales enablement is the processes, content, and technology that empower sales teams to sell efficiently at a higher velocity. 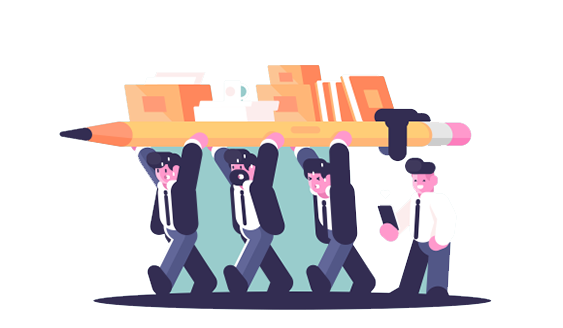 The content piece of sales enablement in many cases acts as the glue between the marketing and sales team, holding them together and keeping them aligned. If your marketing team hasn’t been focusing on driving people toward purchasing your product, it’s time for them to rethink their priorities and start focusing on producing content that will enable the sales team to sell efficiently at a higher velocity. Here’s a question for you. In your organization, who creates more content: the marketing or sales team? Chances are, you guessed the marketing team. And chances are, you might be wrong. In fact, a study was done on this. Of the people surveyed, 80% guessed that marketing created more content than sales. But when their content was actually checked, 40% of it was found to be created by sales compared to only 30% created by marketing â€” and 30% was made by people outside of marketing and sales! Now that, in itself, is not a bad thing. Content should be a company-wide initiative. But when the researchers zoomed in on content created by marketing teams, they found that only nine percent was viewed more than five times by the sales team. Nine percent! That means more than 90% of the content marketing produces never gets used. In contrast, 57% of the content sales teams produced themselves was viewed more than five times by sales reps. When thinking about sales enablement, it’s easy to think that your job is done once the sale closes. Most companies put a lot of thought and energy into getting people into the top of the sales funnel and into moving people down the funnel and through the sales process. But you should be just as invested in your customers as you are in your prospects. When it comes to sales enablement, thinking about existing customers will be a crucial part of your overall success. After all, the probability of closing a deal with an existing customer is 60-70%, compared to less than 20% for new prospects. If you’re serious about enabling your sales team to sell more efficiently at a higher velocity, you need to help them tap into your existing customer base. Sales enablement is the processes, content, and technology that empower sales teams to sell efficiently at a higher velocity. Once you have the processes figured out, including a process for creating and using content, the final piece of the puzzle is to implement the technology that will support those processes. The purpose of this class is to discuss the role of technology in a sales-enablement strategy without recommending any particular toolset.